American minks belong to the Mustela family so they are related to otters, stoats and pine martens, they have a similar appearance to weasels with long bodies, short legs and a long bushy tail usually measuring half its body length. In the wild minks have reverted to a darker colouration than those bred for their pelts on fur farms which can have a variety of colours. Irish populations are black or dark brown with a white underside covering the chin, throat and belly. Each mink’s white body area is unique which allows for accurate identification of individuals. Coats are molted twice a year with the summer coat being fully developed by mid July which is then replaced with a winter coat by November. The head and body combined measures up to 45cm in fully grown adults with the tail often reaching another 25cm. 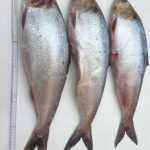 Both males and females reach similar sizes but males often weigh considerably more than females. Males in the wild can reach up to 1.5kg with females usually only half that weight. American minks can move well both on land and in water and have star shaped webbed feet with five toes although only four toes are seen in footprints which can measure up to 4cm in length. They have sharp eyesight for hunting but this is also needed to identify body movements and postures of other minks in order to communicate. 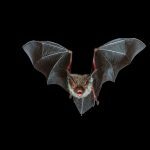 Vocal signals are emitted when in contact with other individuals which consist of either squeaks, chuckles or squeals. American minks are highly adaptive animals and so are able to thrive in most habitat types in Ireland. The one essential element which an area must have for the mink is a slow moving fresh water body such as rivers, lakes, ponds or streams. Coastal areas with a river estuary system containing rock pools or other sluggish water bodies are also suitable for the American mink. 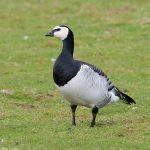 They have made use of the canal system in Ireland which can provide all of their habitat needs. Dens are established along the water body and are lined with dry vegetation, bird feathers and fur. Minks rarely burrow their own nests instead preferring to use already established hollows in old trees, large exposed root systems or among natural rock formations that provide shelter. Dens are always located close to a water body which is the main source of food for the mink. An individual mink may establish several dens within its home range if conditions are favorable. Population densities vary according to the quality of the habitat. Poor quality habitats in Ireland like upland rivers or lakes will generally support only two or three individuals per 10km2 with this number increasing to over ten mink per 10km2 for their preferred habitat type, which in Ireland is along the shores of midland lakes and canals. American minks can be described as aquatic carnivores that do not specialize in any one type of prey species. 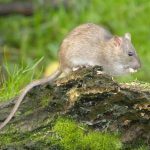 They will hunt any animal which is smaller in size that they find within their territories which accounts in part for their successful spread throughout most habitat types in Ireland. Well-developed senses allow for underwater hunting, strong eyesight and sensitive whiskers allow the mink to locate prey even in very murky water. Minks will begin their hunt by diving into the water from tree branches or the river’s bank, they can remain fully sub-merged for up to twenty seconds until they locate slow moving aquatic prey like crayfish, molluscs and crustations. 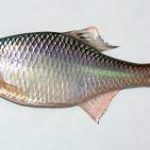 When available they will eat eels, perch, trout and young salmon. Aquatic bird species they find within their territories like coots, moorhens and ducks are also hunted. American minks also hunt prey species on land using their sharp eyesight to locate food within burrows, on ground level and in the lower branches of trees. 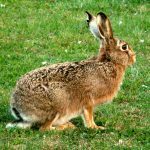 Rabbits appear to be the preferred prey while hunting on land but they will also catch rats, shrews, mice, voles, frogs and insects. Male minks will tackle larger prey than females due to their heavier weight, large prey is dragged back to the den to be stored and eaten later. Rabbits and waterfowl are immobilized with a strong bite to the back of the neck. Territorial ranges vary in size in Ireland due to the number of different habitat types in which the mink has become established. 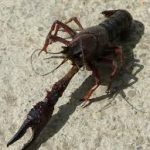 Males will have larger ranges than the females which are usually linear in layout along the banks of a river or canal stretching up to 6km in length. In marshy habitats with no linear watercourse an individual mink’s territory can be up to 10 ha2. 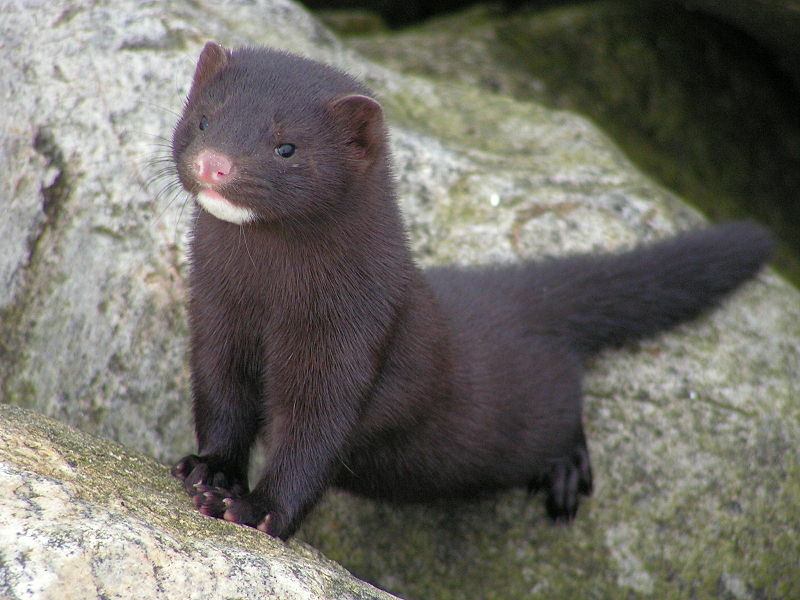 Coastal dwelling minks have been known to travel up to 2km inland in search of food sources. American minks are largely solitary animals but several individual’s territories can overlap in high quality habitat areas leading to frequent fights among males during the mating season. Minks breed once each year with the mating season running from February to April, as American minks are solitary mammals a female can mate with any male which comes into her territorial range during this time, after mating the male will not guard the female and will either return to his own territory or seek out another female to mate with. 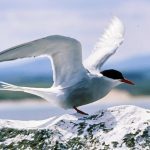 Unusually for mammals ovulation will occur after mating has taken place. The feotus can be fully formed in the womb after only one month but females can delay birth for another six weeks until environmental factors such as calmer weather and an increased food supply are available which will give her young a greater chance of survival. Births usually occur during the months of April and May, newborn minks are known as kits with each litter comprising of between three and seven young. Kits are born blind, deaf and furless weighing only 5 grams. After one month they will have developed a dark grey fur coat and will have opened their eyes. Weaning generally lasts for eight weeks after which time the young kits are fully developed. Parental care is given by the females only who will bring her young food each day to the den, she will remove her kits to another den if disturbed. Mothers will teach her offspring hunting techniques allowing them to become fully independent by fourteen weeks of age, after which they will disperse from the den to find territories of their own. By the following spring they will have reached sexual maturity. 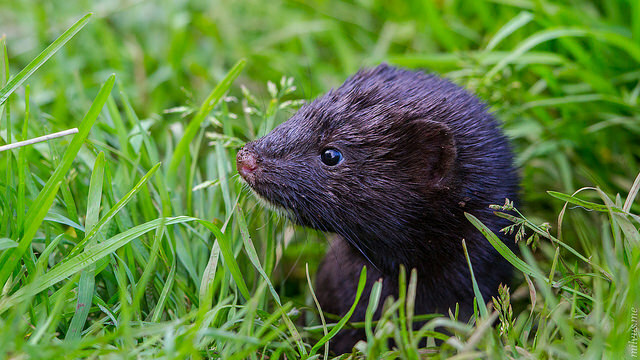 Mortality rates for young American minks in Ireland is high especially in winter and spring as failure to establish a suitable territory which can be successfully defended from other minks will result in starvation for the individual. 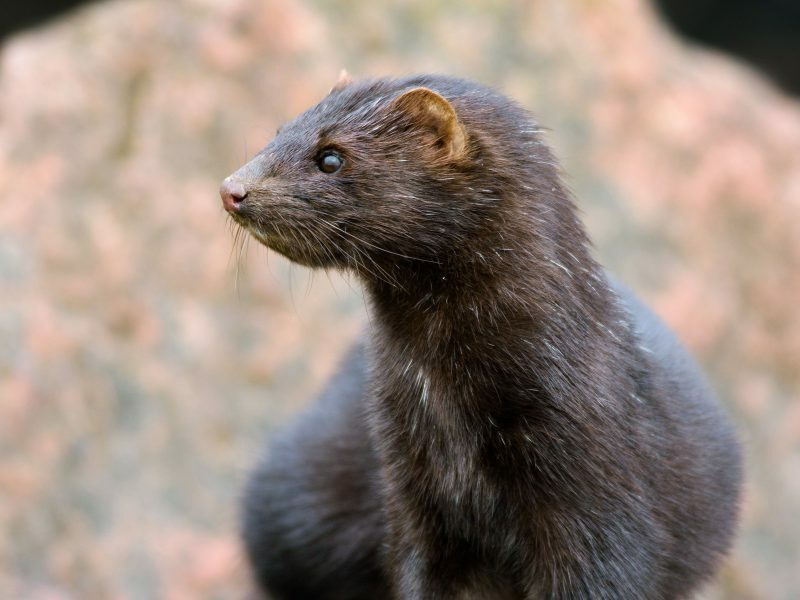 On fur farms American minks have been known to live for up to 10 years but lifespans in the wild are usually only half that length. Originally native to woodland areas of North America and Canada the American mink was brought to Europe for the purpose of fur farming in the early 1950s. 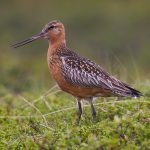 They can now be found in several western European countries including Iceland, Britain, Norway, Sweden and Finland. 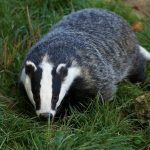 The first known escape from a fur farm in Ireland occurred in county Tyrone in 1961, since then deliberately released and escaping minks have allowed the species to spread throughout the country. 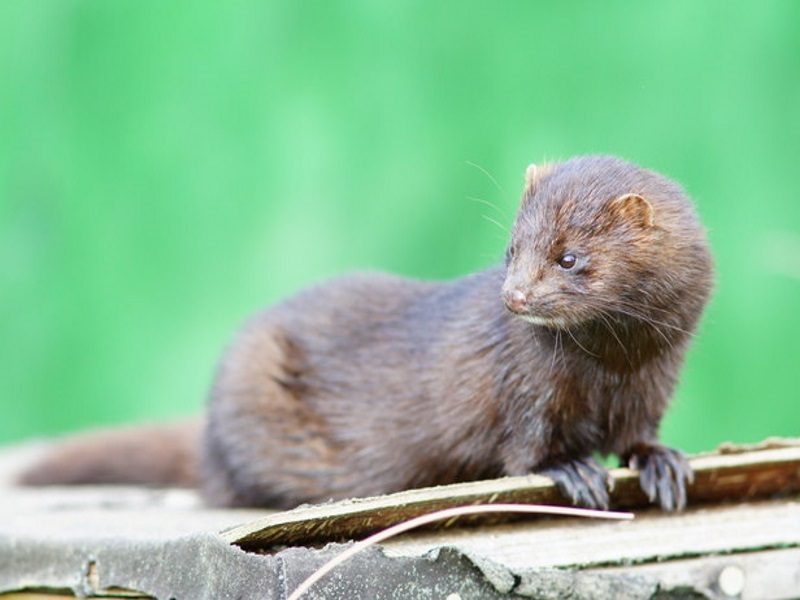 American minks are now established in most areas from the coast, throughout the midlands and to upland regions due to their highly adaptive nature and lack of natural predators. The feral Irish population spread rapidly as they had no native species that were in direct competition with them for habitats. The introduction of the American mink species to Ireland although accidental has added to our mammalian species diversity whilst not affecting any resident species too greatly. In other European countries which had established populations of European minks the spread of the more successful American mink has directly led to that species decline. 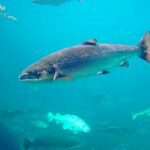 In Ireland the effects on prey species can be damaging when minks come into contact with animals which are being captively reared such as farmed salmon, game birds and poultry. 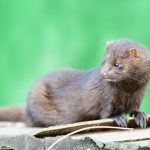 Wild populations of ground nesting birds and waterfowl will suffer increased losses if the American mink continues to spread. 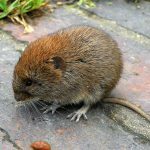 Smaller mammals such as bank voles and pygmy shrews may also be affected if the American mink numbers continue to increase. The Irish otter is the native species which is most directly in competition with the mink both for prey items and habitat preference, their effects on the Irish otter are not yet fully known. The main causes of death for the American mink are from road traffic, water pollution and from wounds received by males during the mating season from other minks. As the American mink is an introduced mammal species it is not protected legally so it can be trapped to reduce its numbers if they threaten game fish or game bird populations. 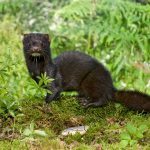 Eradication of the American mink population in Ireland is now impossible due to its spread throughout the whole country. Its introduction whilst increasing competition for food and habitat resources with the native otter species has not been overly damaging to native Irish biodiversity.